The specter of a 2 pct levy on revenue from in-country users of Facebook et al is partly a negotiating ploy aimed at America. Britain and others want new global rules for taxing tech firms. Yet the U.S. has little reason to acquiesce, and unilateral measures risk retaliation. Britain's Chancellor of the Exchequer Philip Hammond stands outside 11 Downing Street before he delivers his budget statement in the House of Commons in London, Britain, October 29, 2018. Britain will levy a 2 percent tax on the UK revenue of technology groups like Amazon, Facebook and Google from April 2020, finance minister Philip Hammond announced on Oct. 29. 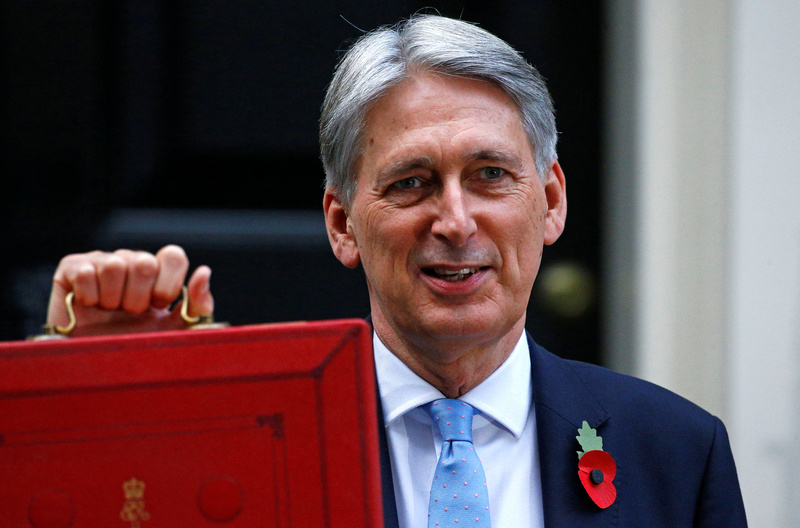 "It's clearly not sustainable, or fair, that digital-platform businesses can generate substantial value in the UK without paying tax here in respect of that business," Hammond said in his annual budget. The digital-services tax will raise 1.5 billion pounds over four years and will target companies whose "business models derive significant value from the participation of their users," specifically search engines, social-media platforms and online marketplaces. The levy will only apply to companies generating at least 500 million pounds of revenue globally from these activities, and the first 25 million pounds of UK revenue will be tax-free.